Article from Reason by John Stossel and Joshua Swain. On Halloween the media scare people with stories about dangerous costumes and poison candy. Most of the stories are not even true. Lots of things Americans are scared of pose little risk. 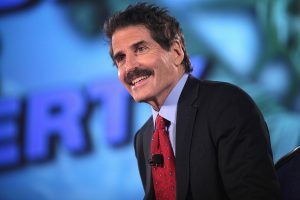 John Stossel goes to Times Square and asks people what scares them. Most answered with low-risk dangers, like sharks, spiders, horses, and plane crashes. Common among the answers was the fear of losing control. Let us know what you think, in the comments below! Read the entire article at Reason. A government big enough to give you everything you want is strong enough to take everything away. To create fear of criminals is why the dems want gun control. Someone once stated: Politics is the art of looking for trouble, finding it everywhere and applying the wrong remedy. I would add: and after the stuff hits the fan, deny, deny, deny and deflect responsibility with rumors, false claims and lies. Then after losing the next election, becoming a lobbyist or special interest and continuing a political presence.